The car Citroen chose in order to adapt for the latest regulations of the World Rally Championship is one of their highest rated vehicles at the moment, namely the DS3. 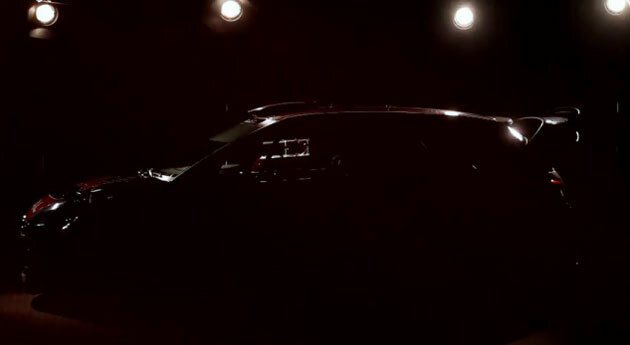 It would seem that the French will be unveiling their rally monster version of the DS3 at the Paris Motor Show. Until the event actually kicks off we do have a teaser of the DS3 WRC in cinematic format. The car portrayed in this actual clip will be next seasons “weekend driver” for none other than Citroen’s best driver in the competition so far. I’m talking of course, about Sebastien Loeb. It seems that the French driving hero’s last year in the competition (by his own admission, he plans to leave the WRC at the end of the next season) will see him in a quite interesting creation which should not only at least outperform the Xsara rally car but also fight off the attacks of the Mini Countryman rally version. Things related to the WRC have never been in any way shape or form boring but somehow they are looking up to get quite a bit more interesting very soon.